Your carpet is a reflection of your home and how well you care for it. A spotty, stained carpet will leave a bad impression on visitors to your residence or place of business. Give others the right impression the first time around – invest in high quality carpet cleaning Livermore today. We can remove stains caused by spilled wine, markers, paint, fruit juice, and more. We have state-of-the art, fast-acting cleaning solutions that lift even the toughest stains. Everyone spills every now and then – or more frequently if you have young children in the house. Don’t let a stain ruin your carpet for good. Don’t let your dirty carpet ruin the welcoming atmosphere of your business or living space. Rather than spending thousands on a new carpet, invest in carpet cleaning in Livermore. Legacy Carpet has got your back. When you choose Legacy Carpet for your carpet cleaning and upholstery needs, you’re also supporting a locally owned and operated Bay Area business. Passed down from generation to generation, we know all the tips and tricks about running a successful Livermore carpet cleaning business. 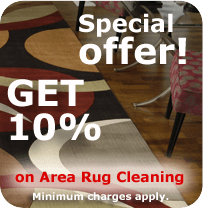 We know how to remove tough stains without damaging your carpet, and how to quickly remove pet odors from rugs, upholstery, curtains, and more. Trust your home to our carpet cleaning Livermore professionals. You won’t even remember that there was a stain there to begin with. Legacy Carpet is a fully equipped cleaning service. We are fully prepared to clean all surfaces of your home, from your kitchen tiles, your entry-way hardwood, to your dining room rug. Call Legacy Carpet today for your carpet cleaning solutions! It’s amazing how quickly your brand new tub can look dirty. A bathroom tub that is in use every day – sometimes multiple times per days – can easily develop water rings, grime buildup, and grout discoloration. Has staring at your dirty tub got you down? Legacy Carpet can clean your tub, tile, and grout, allowing your bathroom to be the relaxing safe haven it ought to be. We have the tools and cleaning solutions needed to remove dirt from porous grout and tile. You’ve never seen your bathroom look this clean before. The next time you need carpet cleaning in Livermore or somewhere close by, remember to call Legacy Carpet first. Support local business and get the beautiful, spotless home that you deserve.